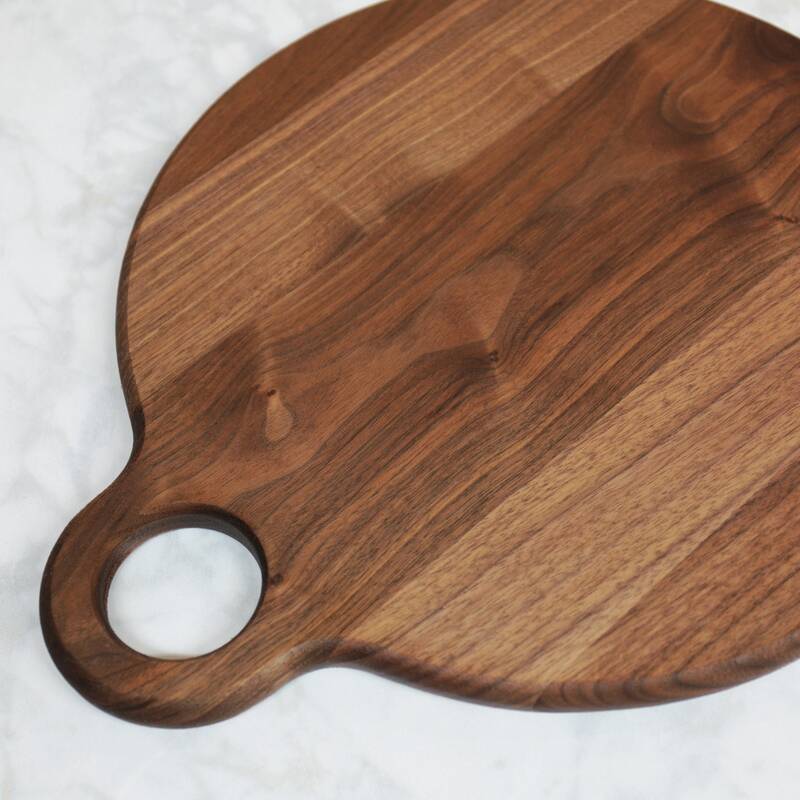 IMPORTANT: Your viewing a large, handmade cutting board that is made from Walnut. Your purchase will be for a product similar to the one in the photos. Design layout will be the same, however, grain pattern, colors in the walnut wood will naturally be different from board to board. Sanded and finished to a smooth touch. 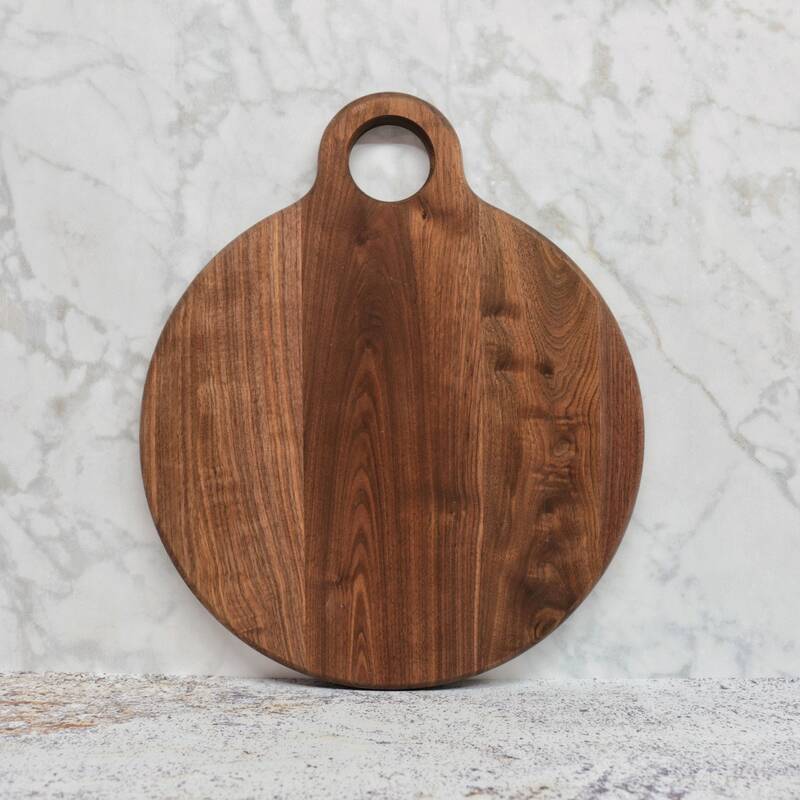 The whole board is completely rounded on the edges, and it sports a nice, larger sized hole for handling and hanging/display. Finished with mineral oil. Waxed and buffed with beeswax/mineral oil at time of shipment. 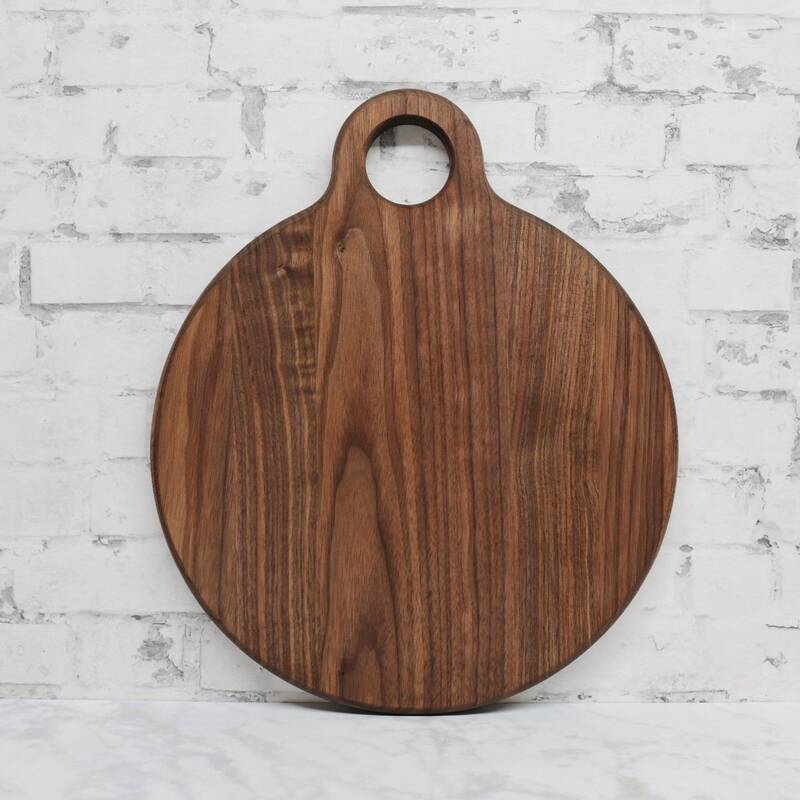 This cutting board is beautifully made. It is a Christmas present for my husband so I just peaked through the bubble wrap. Very beautiful quality. Thank you! Very well made and nice and helpful care instruction sheet. Beautiful....very nice work. Too pretty to use with a knife! 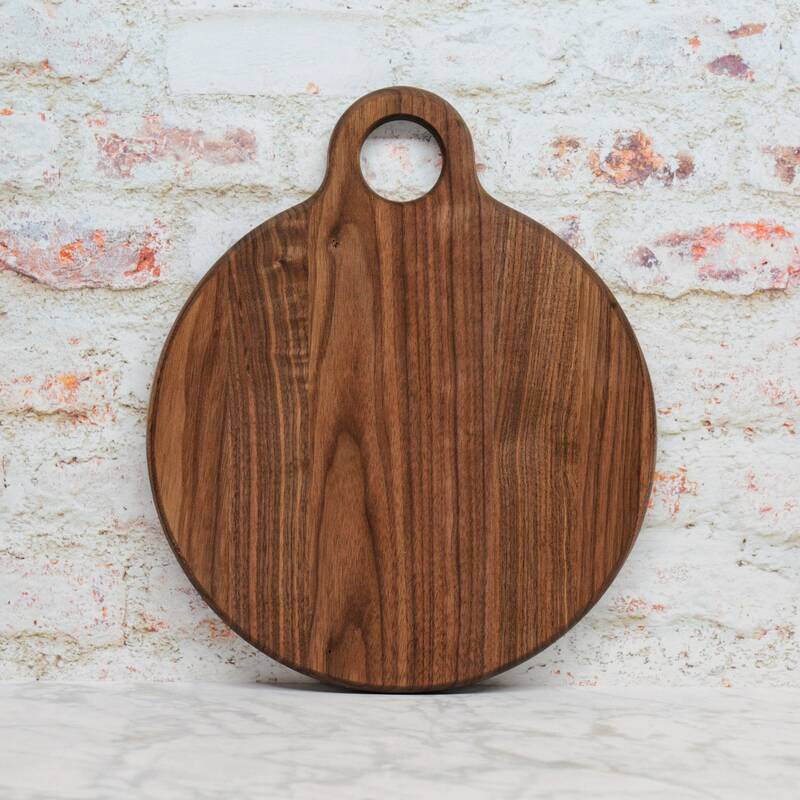 Very nice cutting board. Love the look.